KITTERY, Maine — First came boutique wineries. Then microbreweries and craft distilleries. 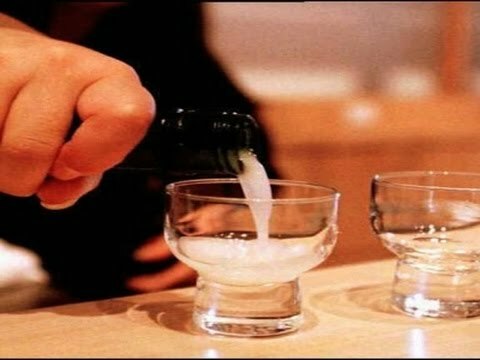 Now Japanese sake aficionados are hoping to transform the so-called "rice wine" into the next artisan alcohol-of-the-moment in the U.S.
Dan Ford, whose Maine-made sake is just hitting the market, has bet his retirement savings that consumers will be sold on his premium sake once they give it a try. "We see it as a market that's untapped," said Ford, who developed a taste for sake while working in Japan, then later returned there to learn from a sensei, or teacher, before launching Blue Current Brewery, one of about a dozen craft producers operating — or gearing up to — in North America. Sake has been around for centuries in Japan, but consumption has dropped in recent years. Meanwhile, it's ticking upward in North America, benefiting from the overall popularity of Japanese foods — from ramen and soba to sushi and yakitori — as well as riding the trend of consumers seeking far-flung flavors and artisanal products. Premium ginjo sake is nothing like the rough-tasting stuff sometimes served warm at low-end sushi shops, craft brewers say. Top-notch sake — best served chilled — has a clean flavor profile that can be full-bodied and robust or light and fruity, sometimes with a subtle hint of licorice. "Its depth and subtlety are tops, but the range of flavors that can come from rice, koji, water and yeast are amazing to many. It just tastes darn good," said John Gauntner, a sake expert from Ohio who has written books on the beverage and has taught sake production in the U.S. and Japan. Though it's often called rice wine, sake actually is brewed like beer. The rice is milled to remove the husk, then a type of mold called koji is sprinkled into the steamed rice to break starches down into sugars, a process that takes place in a room where the temperature tops 100 degrees. The rice and koji are fermented with water and yeast in casks for about 30 days before being pressed, leaving a yellow-hued liquid that looks like huangjiu, the Chinese word for "yellow wine," Ford says. When it is bottled, it looks like white wine. Unlike wine, though, sake generally is consumed fresh and isn't aged for long periods. Those who love the beverage say further success in the U.S. will require educating consumers. They're also trying to win over those who may have had a bad experience with cheap sake, asking them to give it another try. "My favorite phase is, 'Wow, I didn't know sake could be like this.' I've heard that many times, and I have only 110 million to go,'" said Greg Lorenz, head brewer at SakeOne, a brewery that produces about 80,000 cases a year in Forest Grove, Oregon. Restaurateurs, meanwhile, are getting more serious about proper pairings. "Wine sommeliers are getting a taste and realizing where it can fit. It'll never overtake the wine world, but people are starting to respect it and realizing that it has its place. It has a great fit in the jigsaw puzzle of beer and wine. There is a lot of room for growth," said Tim Sullivan, founder of urbansake.com. As the story goes, sake came to the U.S. when American soldiers stationed in Japan after World War II returned home with a taste for it, prompting Japanese sake makers to open the first U.S. breweries in Hawaii and California. Blake Richardson's moto-i in Minneapolis is credited with launching the microbrew trend with the first sake brewpub in the U.S. in 2008. Richardson, whose sister company is now milling rice for several sake producers, including Blue Current, believes sake will grow as consumers become educated and feel less intimidated by the Japanese characters on bottles. "We need education to get the terminology correct so they can walk up and say, 'I'd like a junmai nama genshu,'" he said. That translates to sake made from rice that's unpasteurized and undiluted. For Ford, he's overcome some big hurdles to make it this far. He received help from the University of Maine and used a Kickstarter campaign to raise money to get his rice shipped from Minnesota. Now he has an agreement with a distributor to sell his sake at $25 for 750-milliliter bottles or $15 for 350-milliliter bottles. "It's going to be slow in the beginning. We hope by this time next year that we'll be talking crazy growth in our category," he said.